Western North Carolina Residents: Take this Online Broadband Survey! 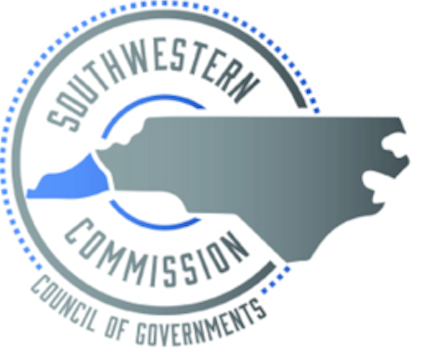 If you live in western North Carolina and struggle with the lack of quality Internet access, the Southwestern Commission — a council of local governments for the region’s seven westernmost counties — in cooperation with the MountainWest Partneship are urging residents to take this survey. Counties in the council include Haywood, Swain, Jackson, Macon, Graham, Cherokee, and Clay. The goal is to quantify the demand for Internet regionally, focusing on individual counties as opposed to census blocks, in order to better determine accessibility issues. It’s an important process to show Internet providers that there is demand, debunking ISPs claim that rural demand for high-speed Internet doesn't justify the investment. Better data can also establish a foundation for future funding opportunities. It’s really in my opinion one of the most important parts of the process. You’re basically showing [internet service providers] that there is demand, it’s showing even when there is service it’s subpar. In order to move forward with projects, we have to have that data to back up the need. To show that there are opportunities. Through the FCC’s form 477 data collection efforts, the Commission attempted to carry out these crucial first steps in showing aggregate demand and problematic broadband service. The data was compiled into the easily accessible National Broadband Map. Data is collected from ISPs and it provides information to the FCC based on which census blocks ISPs serve. The problem is that this data exaggerates where coverage is available in rural areas where census blocks can be very large. Areas that may appear on the FCCs maps to be served or to be served with better connectivity are often in reality not served or served with Internet access much slower than FCC mapping indicates. Because state and federal entities typically award grants and loans to communities with the greatest need first, incorrect mapping eliminates rural communities from funding opportunities when they need it the most. Not only that, but the FCC neglects to collect other important data on speeds and pricing. For years, broadband policy experts have pressed the FCC to require ISPs to provide the information to better assess rural costs. Beyond organizing the survey, the seven counties' respective broadband committees are focusing on whatever they must do to make it cheaper and easier for ISPs to serve their communities. Thompson also explained that individual communities are learning more about funding models, ordinances and policies, and infrastructure. The training is intended to add capacity to the region. Each county has a team of people educated on how to make this happen. Representative Kevin Corbin, who works closely with the commission and sits on the Information Subcommittee of the House, has been exploring funding sources for local governments and their prospective broadband projects. Corbin has ideas about public-private partnerships and utilizing existing infrastructure to extend last-mile connections, but “[i]n the meantime, the most important thing mountain residents can do, if they want better internet access, is take the survey,” says Corbin. Is subscription sales the only way our municipality is going to see a return on our $500,000 [city-owned wireless network]? Not really. We see other benefits. Police on the street longer because they can do their reports from the cars rather than the squad room. More information to our firefighters before they make scene on a possible structure fire. AMR project. Tourist access to city wide internet. These are all hard dollar and soft dollar returns that are real.